Check out what One Grand Troop has to offer! We invite families to attend any one of our open houses. Our Troop meetings are on Mondays. Please arrive at Resurrection Lutheran Church at 7:20 pm to get a quick overview before Troop meeting starts. 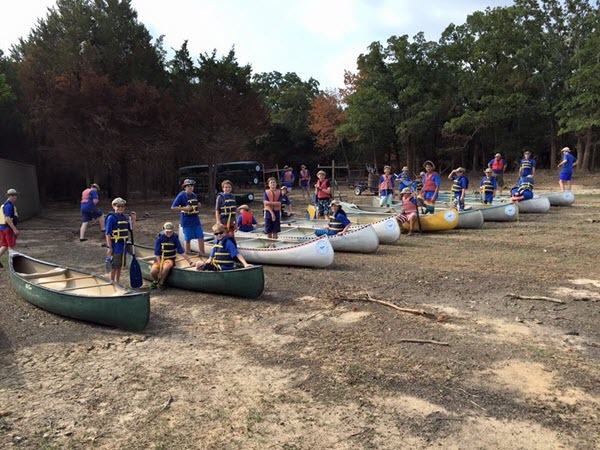 Also, if you would like a visit from Troop 1000 at a Senior Webelos den meeting, please email info@t1000.org. Requirement for joining Boy Scout Troop: Be a boy who is 11 years old, or one who has completed the fifth grade or earned the Arrow of Light Award and is at least 10 years old, but is not yet 18 years old. If you’re interested in attending open house or would like more information, please contact Claudia Smeltzer, our Webelos and New Scout liaison.